Some of these snacks look like food for 6 year olds, but they’re better for you than biscuits so we’re going with it.. they also all happen to be vegan. I feel like i need to do a little bit of a disclaimer because i am no foodie, when i say snacks for lazy people i mean it. Although i don’t mind putting more effort into actual meals, when it comes to snacks i want minimal effort without eating something out of a packet. These are the snacks i turn to when it’s been like three hours since lunch and you’ve still got about three hours until dinner.. I honestly believe theres no better way to get a good proportion of your 5 a day covered than by making a smoothie, even though its technically a drink you still have 3 portions of fruit in here. I like to use one large chopped banana, two handfuls of blueberries and about 4-5 chopped strawberries, i’m not a green juice person so i tend to go down the sweet fruity smoothie route. In the first photo you can see all the ingredients before being blended and also the milk i use; even though i’m not a vegan and i do use regular milk in other things i like to use coconut milk in smoothies because its a lot thinner and means the smoothie is a lot easier to drink. 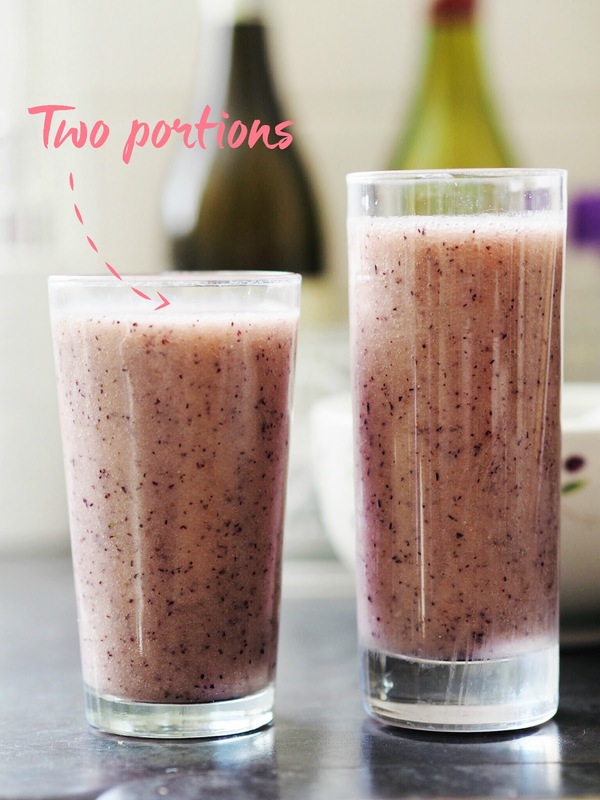 I don’t actually measure the amount of milk i use but on the blender i go up to where 2 is marked and i find that gives me enough mixture for two smoothies; it also means the next day i can go to the fridge and get the second smoothie without having to do any extra preparation. Could i talk about food and not include avocado? Nope. Avocado toast is one of my favourite snacks to have, i’ll eat it as part of breakfast, lunch or at 10pm when i’m feeling peckish. 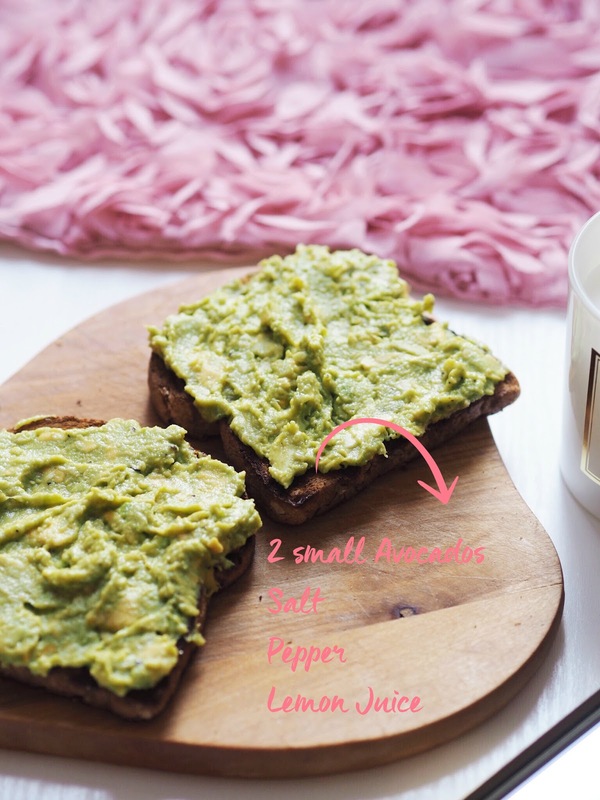 I use one large or two small avocados, smash them up with a fork in a bowl, add salt and pepper and spread it on brown bread toast (you could sprinkle a little bit of lemon juice on top to give it a tiny bit of zest). It’s so filling even without anything added to it but if i choose to turn this into a main meal i’d add a poached egg on top, which obviously means it isn’t vegan friendly anymore but you can adapt it as you wish. Also if you want this to be vegan friendly make sure to get the right bread. 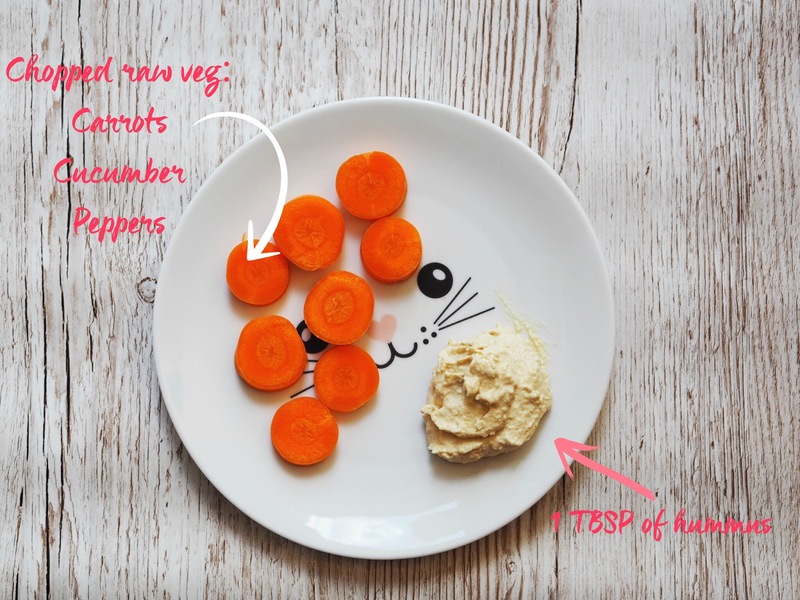 This is probably the easiest snack in the whole entire world: a chopped raw vegetable and about a tablespoon of hummus. I like to use carrot and cucumber but really you could use any vegetable that takes your fancy, again you’re getting one of your five a day and it takes under a minute to prepare. Also please forgive me for this photo but there’s only so much you can do with chopped carrot and a table spoon of hummus..i wanted to eat it so badly that i literally took about 3 photos and gave up. I don’t know if this is a really weird combination or not but i absolutely love it, i don’t actually like apples by themselves but if i have them with peanut butter i’ll happily eat them. 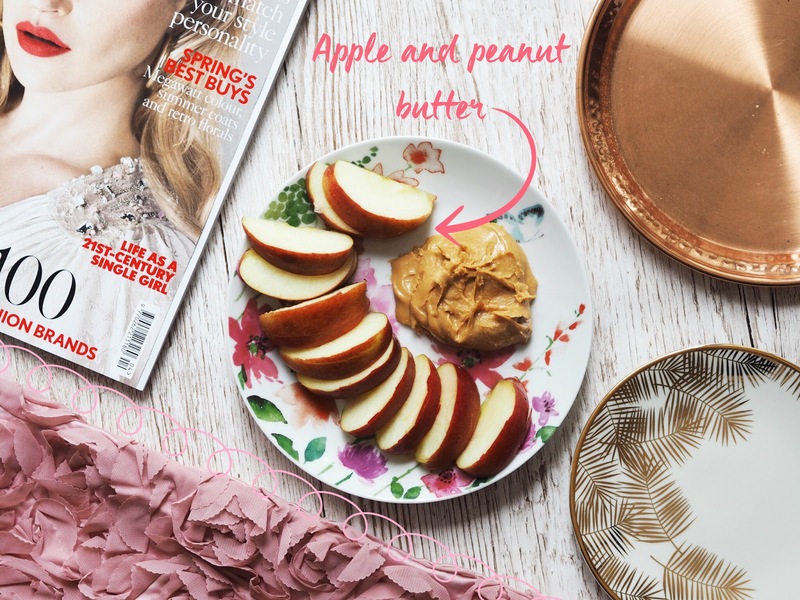 I usually find that just eating a piece of fruit by itself isn’t filling enough as a snack (unless its a banana), so adding protein rich and tasty peanut butter makes it a much more realistic snack which doesn’t leave you hungry. If I ate what you do, I would be pretty damn hungry, haha. Anyway I alwayd admire people who eat and live healthy. Great job. I absolutely love having apple & peanut butter as a snack! 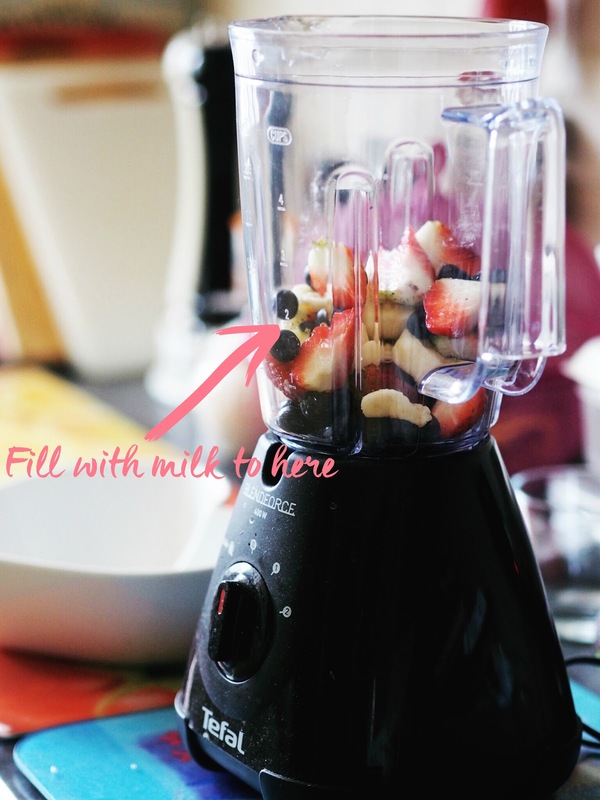 These are some really great ideas – I'm going to try out that smoothie! Avocado on toast and peanut butter and apple are like my two favourite food things. Love some avocado on toast! So good for a snack. I'm trying to snack less on sugary things so these are really helpful suggestions! I used to love having apples and peanut butter, with a little bit of cinnamon and it's so delicious! Banana and peanut butter is another favourite combo of mine, or banana and peanut butter in a wrap is delicious as well. Apple + peanut butter is one of my fav snacks, and I also love a simple green smoothie made with banana, almond milk and spinach! Really nice to read ur blog.